As students, we all are striving for one common goal after our time at school: a job weâ€™re passionate about. The path we take to get there however is different for everyone. High grade point average, extracurricular activities, sports teams and clubs all enhance our appearance from an employerâ€™s standpoint. There is a way you can set yourself apart from others though with how you spend your summers. â€œA summer internship can give you the chance to really get involved with an area you are interested in, while it can also do wonders for your rÃ©sumÃ©,â€ Marietta College Career Center Internship coordinator Bill Fournier. Opposed to flipping burgers, summer internships tasks vary from following professionals in the field, to working on projects with other interns. They can really open your eyes to your future and allow you to make decisions about what you want to do. â€œI had an internship last year, and I learned so much about my field,â€ said sophomore John Lucore, who had an internship with Range Resources during last summer.Â The geology major didnâ€™t just make copies and fill coffee cups like many believe interns do. â€œEvery day I did something different. I followed people around that described everything they were doing. The internship really helped me understand the company as a whole, and it got me involved with my field early on. The pay wasnâ€™t bad either,â€ said Lucore. While Lucore might have got paid for his work, others might not be so lucky. Most of the internships for summer time, are for college credit only, and offer no, to very little pay. â€œSome students might just go back to summer jobs because they fear that not making any money will hurt them in the wallet. In the long run though, the experiences you take away from a good internship will certainly be worth more than the money you would make in one summer,â€ said Fournier. An internship also allows you to see what your interests are in the job market. The common perception is that, since I donâ€™t know what I want to do as a career, I donâ€™t know what internship to choose. However, a great internship can really assist your career path. The possibility is always open that you could find a hidden talent, or something you are really enjoy and in the process learn essential skills along the way. After your successful summer of dedication and work, you will also have networked yourself with employers and belong to a very select in crowd. Performing well with your boss not only allows you to possibly obtain a job with that company in the future, but it also allows your supervisor to send your rÃ©sumÃ© and talk highly of you to other colleagues. 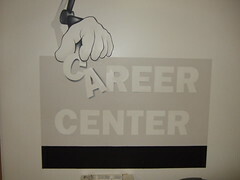 The Career Center has various tools to help you try and land a summer internship. On their website, which you can find from the department site onÂ marietta.edu, there are tips for rÃ©sumÃ© building and sites with listing of internship openings. The Career Center, located on the top floor of the Gilman Student Center is open weekdays from 8 a.m. to 5 p.m. This article was written by Chris Miller, a student taking Media Writing Two at Marietta College. Â Look for more articles from the class to appear on Writing on the Mall in the coming weeks. Â If you are interested in writing for Writing on the Mall, please e-mail patrick_h at writingonthemall dot net.